Using 2018 Duke of Edinburgh expeditions our students took on the Grassroots Challenge as their aim. We were among 43 centres across Northern Ireland who took on this challenge. 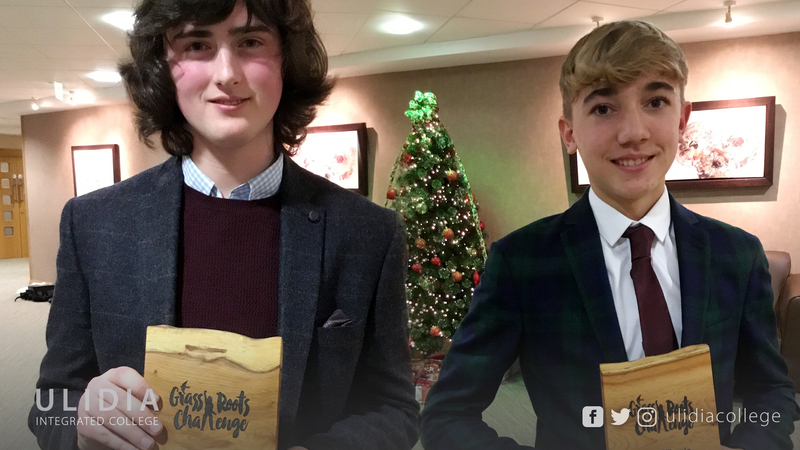 Jake and Karl were awarded individual awards on Friday 23rd November for their contribution to the Grassroots Challenge at a formal award ceremony in Craigavon. They were two of three participants in the Duke of Edinburgh Programme Northern Ireland who were presented with individual prizes nationally for their contribution. Congratulations Jake and Karl!